This year, we focus on you, and on how you use English, both at home and in your work. Chuckle along as we explore the different approaches to humour in the UK and across the pond in the US with translator and author Zoë Chandler. Buckle up for the twists and quirks of being a legal translator in Finland with legal and literary translator Juha Tupasela. Sharpen your red pencils as we delve into the excruciating world of pedantry with lecturer and translator John Calton. Joe McVeigh will be sharing insights into email marketing, including linguistic research and style guides. After the program, stay for scintillating conversation with your peers over a light dinner with wine (included in registration price). Includes light dinner and wine. It’s often said that the UK and USA are two nations divided by a common language — and also by their sense of humour. But is American and British humour really so fundamentally different? During this presentation, we’ll try to answer this question by identifying and examining the similarities and differences between the British and American approach to comedy. We’ll then move on to look at the difficulties of translating humour into other languages. What kind of humour translates well and what just doesn’t work — and more importantly, why? Humour is a funny business, and we’re going to take a serious look at it. 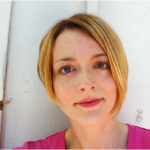 Zoë is a freelance translator and author. She is one of the founding members of Inkling Oy, where she has worked as a professional translator for the past thirteen years. Zoë is one of the authors of Top, Otava’s series of textbooks for teaching English as a foreign language to secondary school students. Her fiction work currently focuses on theatre and performance poetry. She has been an active member of Finland’s English-language theatre scene for over fifteen years, in a wide variety of roles from author and performer to director and producer. Nine of her plays have been produced to date, and she regularly performs her own poetry and monologues at the long-running spoken-word and music event Poetry & Jazz. Have you ever wondered what being a legal translator is like? Juha will share insights on the expectations and demands language professionals can expect to face when working for a law firm, both from an in-house and freelance perspective. To provide some context, the presentation will include a brief overview of the legal services industry in Finland as well as some of the quirks of the market before diving into how language professionals fit into that market. Time and audience interest permitting, Juha will also be happy to talk about some of his experiences as a literary translator. Juha is an in-house legal translator and freelance literary translator. He is one of the founding members of the in-house translation team at Castrén & Snellman Attorneys Ltd, where he has worked for the past 13 years, and has been a professional translator for over 15 years. 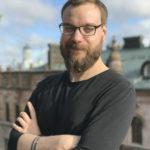 His literary translation work has focused on English translations of Finnish speculative fiction, including works by Finlandia-prize winners Leena Krohn and Johanna Sinisalo and Runeberg-prize winner Tiina Raevaara. His recent work as a writer and editor includes Finnish Weird magazine as well as the restaurant guide for Worldcon 75, the World Science Fiction Convention held in Helsinki in August. He is half Finnish and half Australian and grew up in New York. He has an MA in English philology from the University of Helsinki. John Calton MA: So just how pedantic can you be? ? Pedants, mavens and sticklers represent one particular and somewhat despised branch of language experts. Why are they so despised? Usually because they are self-appointed experts, drawing on subjective or narrowly academic and technical views which, however well supported by theory or anecdotal evidence, are presented dogmatically as correct, whilst typically drawing attention to what is wrong. Language control freaks, in short. Language is subject to variation, not only in terms of medium — broadly speech vs writing, but operating in an increasingly blurred set of intermediate media — but also geographical locality and demographic variation (age, education). And more than ever before, the descriptivists have the tools to overwhelm the prescriptivists under the banner of Moore’s Law and accelerating algorithms. Ask me to describe, and we have the means to demonstrate variation more than ever before; ask me to prescribe, and you may have the means to justify your choices. The pedants’ age-old fear is instability of meaning, and their role in redressing that perceived instability. They are the brakewomen and –men of the communicative realm, just occasionally “accredited with wisdom” (Google, noin 8 tulosta (0,33 sekuntia)). All this surely conditions the relation between the client, the reviser and the job to be done. L1 revisers revise, typically on the basis of texts produced by L2 users. It’s natural that they would assume a proprietorial stance, regardless of their experience — they are after all paid to do it! The issue then becomes i) how far do you go, and ii) what stylistic norms do you fall back on, given that the text really isn’t yours? I will give examples of some home-grown extremes of pedantry, their sociocultural context, with reactions from both professional linguists and ‘ordinary’ users of the English language. And try to pedanticizse you. 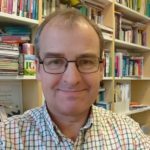 John has been teaching English in the University of Helsinki for thirty years, on courses ranging from overviews of UK culture and society to subtitling. He has also been revising academic texts for the Faculty of Law during much of that time, and involved in the production of twenty or so English-language doctoral theses written by Finnish scholars. He worked part-time for ten years advising on the Suomi-englanti suursanakirja (SanomaPro 2012, now claimed as the basis for the MOT Pro Englanti online dictionary) in a period which saw rapid advances in IT, with all its implications for language expression, and the advent of electronic reference materials as a default source. John also co-ordinated and worked on the English translations of the 375 humanistia website in 2015. He enjoys taking on real-world translations with undergraduate groups, and sometimes reflects that he was born on the wrong side of the digital divide! Email marketing is a relatively understudied genre in the field of linguistics. It differs from other forms of email, such as personal and professional communication, in that email marketing texts are created by teams of copywriters, editors and marketers, rather than by individuals. In addition, email marketing texts have a very real value placed on them: they can be ranked in terms of how successful they were in promoting a product. So there is a tangible benefit for writers and editors to create good email marketing. But what does that look like? What are the linguistic features of (good) email marketing texts? Is there a reason that certain linguistic features should be used over others? My presentation will offer answers to these questions and describe the genre of email marketing. We will look at the structural and linguistic features of email marketing texts, including the all-important subject line. I will show that the language of email marketing is not nearly as cavalier as other forms of email. The creators of email marketing texts are playful to a degree, but they hold on to Standard English. Finally, I will discuss how email marketing texts are not as innovative as some assume them to be. There are practical reasons why email marketing is more repetitive than other genres of computer-mediated communication, but this means that writers and editors have to be creative within certain constraints when working on email marketing texts. Along the way in answering these questions and discussing these topics, we will take a look at linguistic research into email and email marketing style guides. Joe is a doctoral student at the University of Helsinki and a teacher at the University of Jyväskylä. He researches linguistics and email marketing, and teaches courses on English grammar, linguistics, academic writing and culture. For his doctoral thesis, Joe has a corpus of 33,000 email subject lines with metadata to show how successfully each one performed. He is analyzing this corpus to find linguistic patterns in the more successful subject lines. Joe also has a corpus of email marketing texts which he is using to present an analysis of the genre, since that has not been done in linguistics yet. 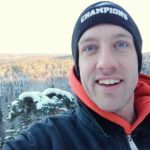 In addition to teaching, Joe also works as the web editor for the online and open access journal Studies in Variation, Contacts and Change in English. Joe is from the US and grew up outside of Philadelphia, PA. He moved to Finland in 2003. In the past, he has worked as a copywriter and a research assistant. When he’s not reading about grammar and linguistics, he’s probably reading a comic book or playing with his kids.